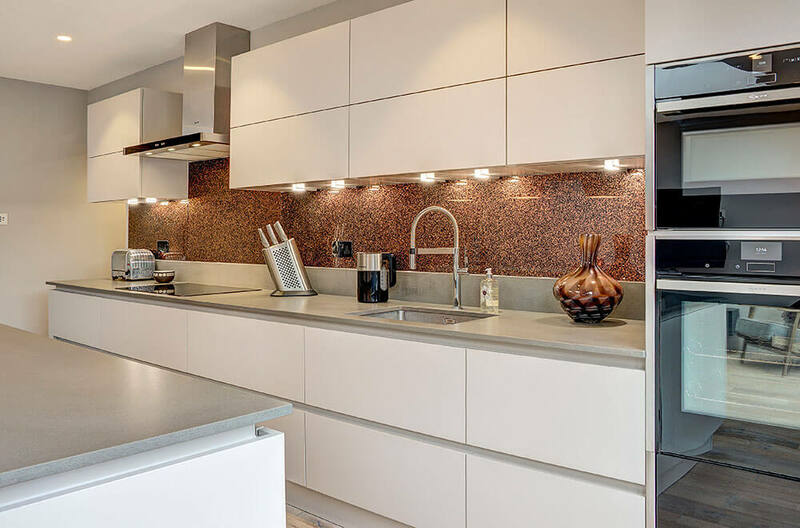 The client wanted a modern, discreet, low-maintenance kitchen with a touch of ‘wow’. 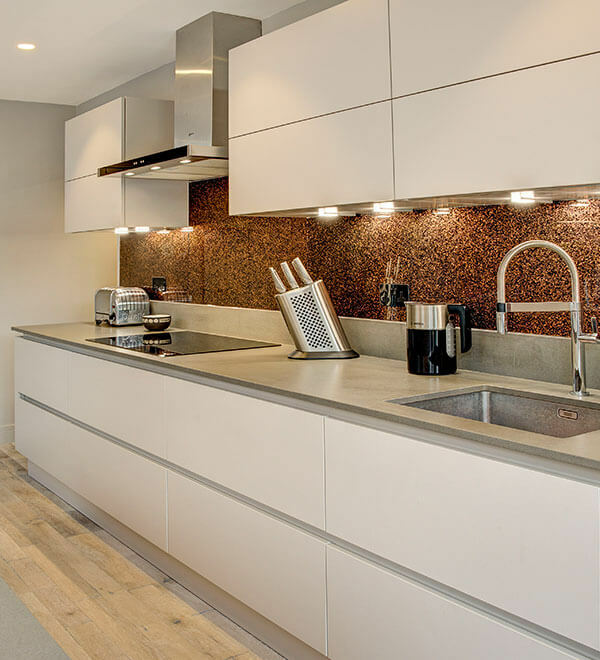 This was achieved by choosing unadorned, handleless units in Nova sand grey and white. 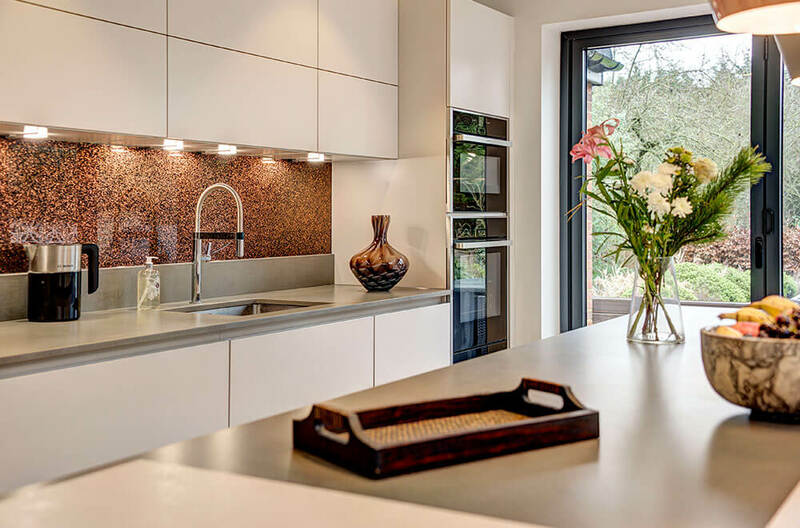 These subtle hues accentuate the dramatic copper-coloured splashback as the stand-out feature, cleverly mirrored by the lighting over the island.